We’d love your help. 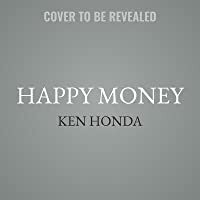 Let us know what’s wrong with this preview of Happy Money by Ken Honda. Become Zen with your money and alleviate your anxieties about finances and earning potential. 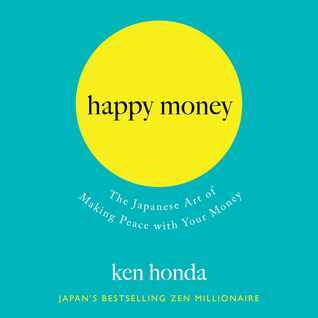 Ken Honda—Japan’s #1 bestselling personal development guru—will help you heal your relationship with money and discover the lifestyle that will truly make you happy. Ken Honda knows that getting rich quick is no way to achieve happiness. Too often, money is a source of fear, stress Become Zen with your money and alleviate your anxieties about finances and earning potential. Ken Honda—Japan’s #1 bestselling personal development guru—will help you heal your relationship with money and discover the lifestyle that will truly make you happy. Ken Honda knows that getting rich quick is no way to achieve happiness. Too often, money is a source of fear, stress, and anger, often breaking apart relationships and even ruining lives. Now, with practical and accessible language, the Zen Millionaire (as he is known in Japan) clearly explains how to achieve a peace of mind when it comes to money, and how to decide which path you should take towards happiness. Learn how to change your relationship with money by treating it as a welcome guest—allowing it to come and go with respect without questioning its motives or resenting its fluctuations. Understand and improve your Money EQ, look behind the myth of scarcity, and embrace the process of giving money along with receiving it. To ask other readers questions about Happy Money, please sign up. Happy Money is an insightful read that is sure to make you stop and think. A book that will help you transform your life to focus more on the now and less on the money. To find ways to experience happiness and abundance together. Happy Money is written more like a conversation than a lecture or a self-help book. A how to change your relationship with money from a struggle to flow more easily. Happy Money is an informative read that is sure to help the reader.